More Joyous is the new favourite for the G1 W S Cox Plate after news that the unbeaten Vinery Stud graduate Atlantic Jewel has gone amiss. TAB Sportsbet elevated the More Than Ready mare to head the market at $6. She finished fifth in the 2010 Cox Plate having taken on So You Think and connections elected to side-step the 2011 weight-for-age championship at Moonee Valley. More Joyous has claimed 8 Group 1 events and she was very impressive winning a Randwick trial on Monday in advance of a first-up start in the Sheraco Stakes next month. More Joyous was unbeaten during a ground-breaking autumn campaign that culminated with G1 triumphs in the Queen Of The Turf Stakes, Doncaster Mile and Queen Elizabeth Stakes. The champion mare has won 19 of her 26 starts for over $4.25 million in earnings. The history-making Doncaster – Queen Elizabeth double also sent her clear of Phelan Ready ($3.52 million) as More Than Ready’s top prizemoney earner. More Joyous is inbred 3×3 to Halo (Hail to Reason) who is the paternal grandsire of More Than Ready and the maternal grandsire of her dam through his illustrious son Sunday Silence. 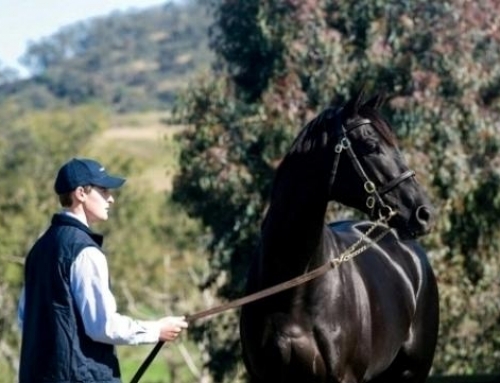 Vinery champion More Than Ready will stand for a $121,000 (inc gst) service fee in 2012.